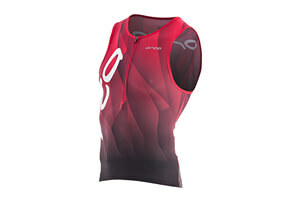 Race fast and fierce in the Kinetik Triathlon Singlet. 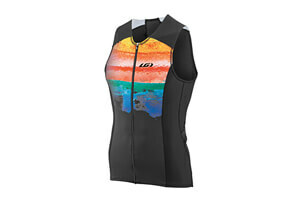 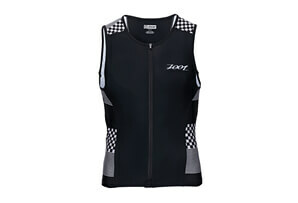 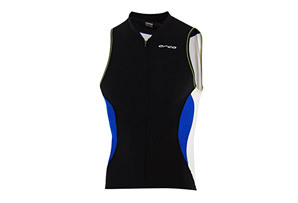 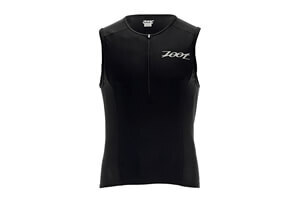 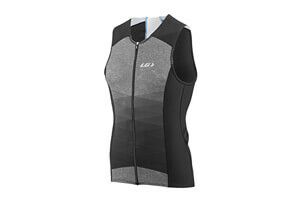 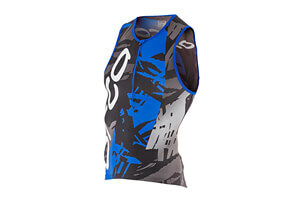 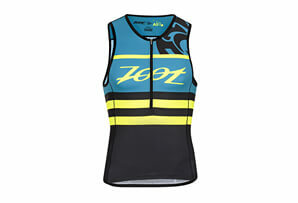 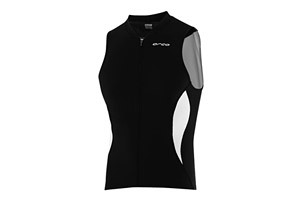 Cut for men, the singlet features a ½ zip front with a zipper garage and inner zipper flap to prevent chafing. 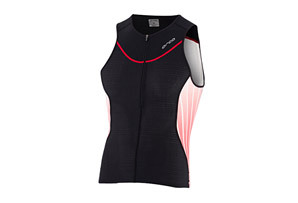 Kinetik’s proprietary 3SK fabric provides sun protection, water repellency, and compression benefits. 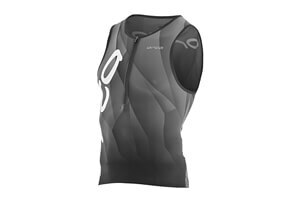 The sleeveless singlet has generous but snug arm holes and compression panels in the abdominal, pectoral, lumbar, and trapezius regions. 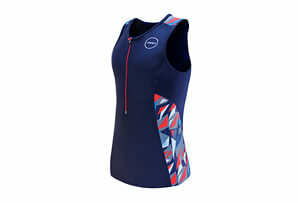 Two easy-access, angled pockets with piping at the top allow storage and a narrow silicone-dotted grip holds the waistband in place. 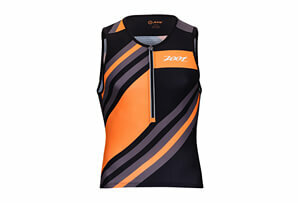  Wash and Care Instructions - Kinetik uses the most advanced fabric technologies. 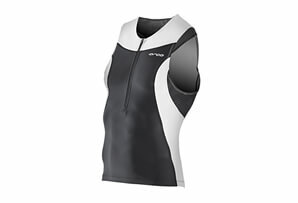 In order to maximize the benefits of your compression garments, please follow these instructions: Use mild soap only, Wash only in cold water, Hand wash or gentle cycle in washing machine, Hang dry only, do not machine dry, Do not use fabric softener, bleach or any other chemicals and Do not wear garments in a chlorinated pool.